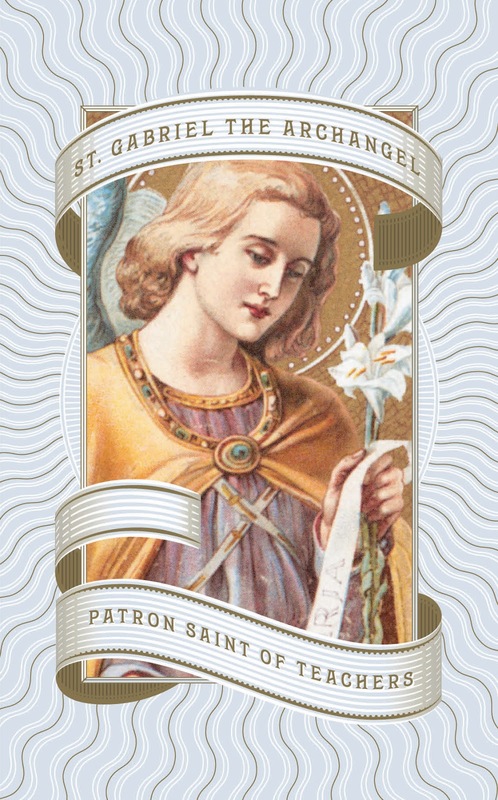 Thank you, Rorate Caeli for your review! A while back, we brought you a wonderful new product, an app filled with the top novenas. 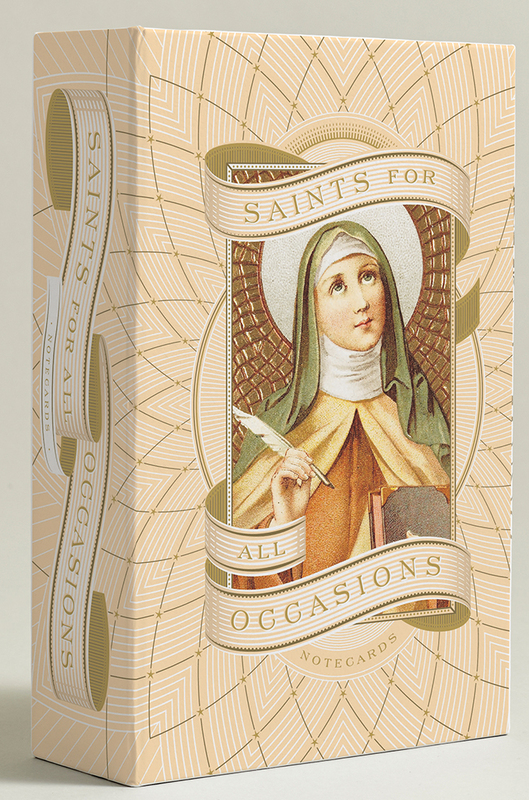 Now, from our friends atNovena.com, we want to bring to your attention a beautiful new product that we know some readers have been looking for: a set of Catholic note cards to send friends and family for special occasions along with the patron saint of the cause. As you’ll see in our not-so-great pictures (the good ones were shot by Abrams Noterie), the picture above shows the box.Even the box is gorgeous. 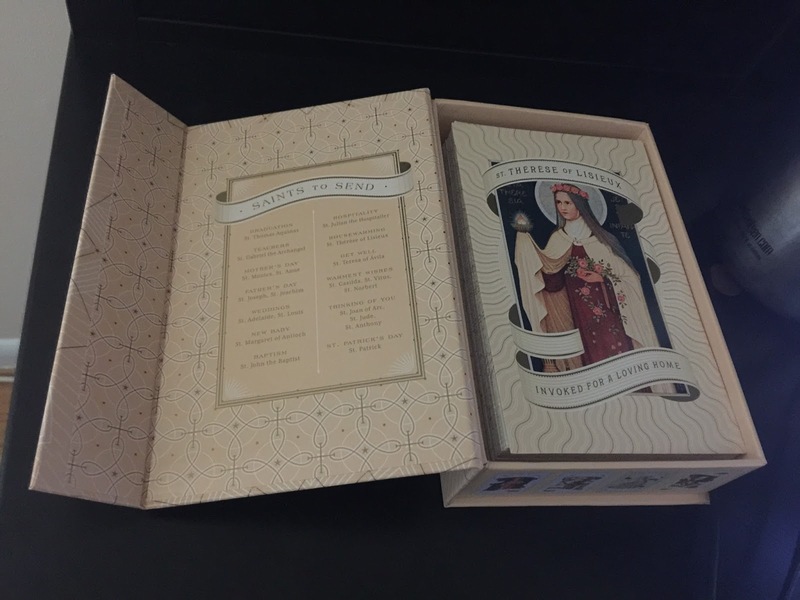 When you open it, you’ll see more incredible craftsmanship, and the note cards and envelopes. Here’s pics of a front and back of the note card, that open up so you can write on blank white pages inside. 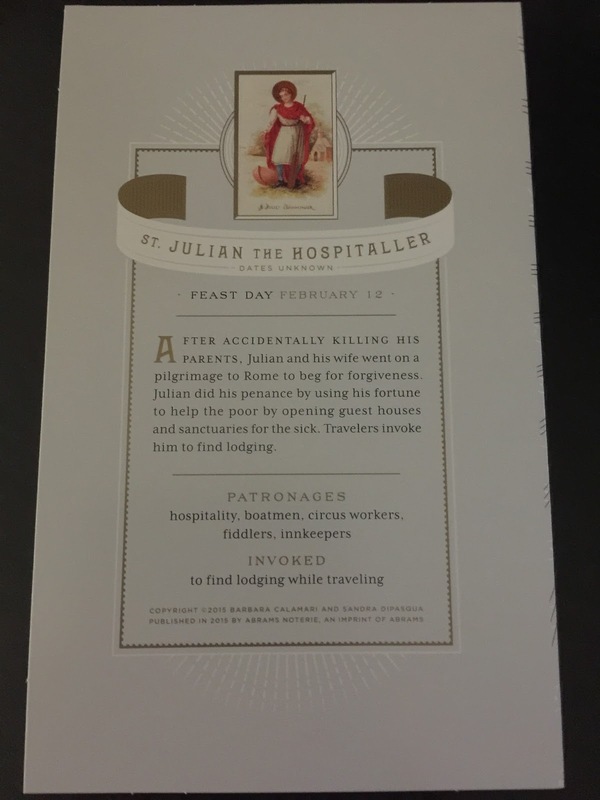 One note: It is in small print, but like the app, these cards do state the feast days according to the new calendar. But it’s such a small feature that we do not believe it greatly takes away from the quality of the product. We adore You O Christ and we bless You for by Your holy Passion and death and Resurrection You have redeemed the Church and the world. Jesus is God and come in the flesh and is omnipresent in all Creation. And even Jesus Himself said that only God is good.